LONDON, June 29 (UPI) — Iran has been testing missiles capable of delivering nuclear payloads in violation of a U.N. Security Council resolution, the British foreign minister said. Tehran is under scrutiny from the international community for allegedly using civilian nuclear work to hide a weapons program. The Iranians deny the allegations. British Foreign Secretary William Hague in statements Wednesday before the House of Commons said there were emerging concerns about Iranian military activity. 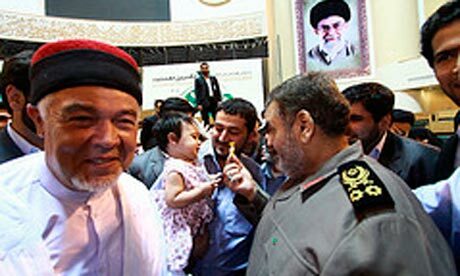 He accused Iran of helping its allies in Syria with suppressing an anti-government movement in the country. KARAJ, Iran, June 29 (Reuters) – In the Iranian summer heat, portable fans cool workers stacking parts in the Middle East’s biggest car factory. But the heavy lifting is unaffected by the soaring temperatures as robots — from South Korea, Germany and Japan, — stamp sheets of steel into body panels, shaking the floors at a busy plant which shows no signs of being crippled by international sanctions. “I think the sanctions make us stronger,” said Amirshahab Yarian, one of the 25,000 workers at Iran Khodro’s main plant just outside Tehran, as sparks flew into the air from robot welders on one production line producing 30 car bodies per hour. Unusually for the Middle East, Iran has developed its domestic car industry for five decades and produced 1.6 million vehicles last year, about half of them made by Iran Khodro which aims to export around 10 percent of its production this year. Even with sanctions, which have scared off some suppliers from exporting to Iran, and a limp economy, Iran Khodro says sales rose 18 percent in 2010 and plans a 13 percent output increase this year to 860,000 vehicles. It is a familiar refrain in Iran which insists that sanctions — aimed at pressuring Tehran to curb its nuclear work — have not only failed to hurt the economy but have actually made it more robust by forcing manufacturers to rely more on domestic production rather than imports. Sometimes even crazy ideas acquire the semblance of respectability if they are repeated enough in otherwise respectable circles. That has long been the case with the idea of launching a war against Iran in the name of setting back the Iranian nuclear program. This notion gets chanted in a verse about “the only thing worse than a war with Iran is an Iranian nuclear weapon” with almost no careful attention in the chant to how the incentives facing Iranian leaders would affect their decisions, exactly how an Iranian nuclear weapon would affect Iranian behavior, what a military strike could reasonably be expected to accomplish, and the full consequences of a war with Iran. The craziness was in full display in an appearance by John Bolton before the House Foreign Affairs Committee on Thursday. Bolton is no stranger to not letting reality get in the way of whatever bellicose campaign he is waging, including ones involving presumed unconventional weapons programs in states he doesn’t like. When he was an undersecretary of state in the Bush administration, he agitated about a presumed biological weapons program in Cuba. When public statements he tried to make on the subject went beyond any available information, and intelligence officers he wanted to concur in those statements refused to do so, Bolton responded by browbeating the officers and demanding to their superiors that they be fired. The irrepressible and undeterrable Mr. Bolton did not let what would seem to be inconvenient facts for his argument get in the way of the chant. There is, for example, the likelihood that we in the West do not know the full extent of the Iranian nuclear program. All the more reason to be alarmed, says Bolton. He never addressed what this meant for whether a military strike could find and destroy all of Iran’s nuclear facilities. Then there is the fact that any Iranian nuclear force would be tiny in comparison with Israel’s nuclear arsenal (which Bolton never mentioned), not to mention that of the United States. Ah, says Bolton, that very smallness is all the more reason to be worried, because “that means its nuclear weapons will not really be military, but instead will be weapons of terrorism, a threat not to military targets but to our innocent civilians.” So we should be less concerned if a much larger Iranian nuclear force somehow could spring into existence? Bolton’s presentation concluded the way the chant usually concludes, which is that because “diplomacy has failed,” the only “realistic alternative” is to use military force preemptively. And also as usual, he said absolutely nothing about all the ways in which diplomacy has not yet been tried. The one accurate and reassuring thing that Bolton said is that President Obama is unlikely to join in the insanity and start a war with Iran. So for the time being Bolton looks to Israel (“America’s truest ally in the region”) to do the deed. He predicts that Iran’s only response to being attacked would be to “unleash” Hamas and Hizballah on Israel. He offers no reason to believe that after having become the victim of aggression by America’s “truest ally,” Iran would stop there. VIENNA — The head of the International Atomic Energy Agency has confirmed being invited to visit Iran. But he says he will go only if there is hope of resolving major differences over the Islamic Republic’s atomic activities. Yukiya Amano says the prospect of “a constructive, concrete result is needed” for him to take up the invitation issued Tuesday by Iran’s nuclear chief, Fereidoun Abbasi. Iran has for years stonewalled IAEA efforts to probe suspicions that Iran has worked on components of a nuclear weapons program. It also refuses to freeze uranium enrichment, despite four sets of U.N. Security Council sanctions meant to pressure Tehran to stop the program and other activities that could be used for weapons. TEHRAN, June 25 (Xinhua) — Iran opened an international conference against terrorism in Tehran on Saturday. The Supreme Leader of the Islamic Republic Ayatollah Ali Khamenei said in a message to the opening ceremony of the conference that fighting against terrorism is a responsibility for all countries. Terrorism is not a new phenomenon. However, the emergence of weapons of mass destruction has made it hundreds of times more dangerous, Khamenei said in his message. He said that Zionist regime of Israel has committed a number of terrorist acts against Palestinians and continues openly its terrorist acts outside and inside the Palestinians. The United States, Britain and some Western states, with a dark record of terrorist acts, have now added the claim of fighting terrorism to their rhetoric, said the Iranian leader. Taherian Mobarekeh, the secretary of the conference, said in the opening ceremony that the Islamic Republic is going to create global convergence and unity against terrorism by holding the conference in Tehran. 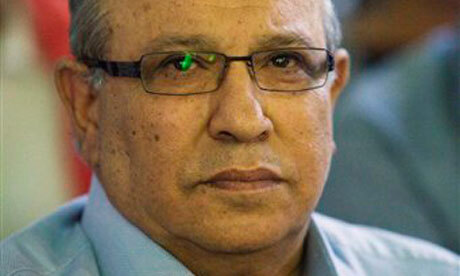 Israel’s former intelligence chief, Meir Dagan, has been subjected to a firestorm of criticism – from the Israeli government as well as sections of the media – since he stated that attacking Iran’s nuclear installations would be “a stupid idea”. So strong has been the reaction that the prime minister’s office even asked him to return his diplomatic passport. What seems to be bothering some Israelis, including Ari Shavit, the respected Haaretz journalist, is that Dagan has now “made the Iranians think they can continue galloping to the bomb because they are not in any real danger”. This claim, though, is a clear example of where some in Israel are getting it wrong with regard to Iran and what the Iranian leadership perceives as serious threats. Israel has to realise that the Tehran regime is more petrified by what is happening to its economy and among its own population than by the possibility of a military attack from Israel. When it comes to using violence, this regime has had 32 years of experience. It can cope. However, the regime is so frightened of its own population that it breaks up silent demonstrations. It panicked when the shooting of Neda Agha Soltanwas filmed and broadcast to the world. It even went as far as totemporarily ban books by Paulo Coelho – simply because his editor in Iran, Arash Hejazi, was seen trying to save Neda’s life. Dagan could be wrong in his assessment but, even if he is right, it does not mean that cessation of a military threat from Israel would induce the Iranian government to “gallop ahead” towards the bomb without any concern. The biggest reason why Iran’s supreme leader, Ali Khamenei, has agreed to talks during the last few years is not the fear of a military attack by Israel. The biggest reason is that he is worried about his country’s economy, which is far more crucial to the regime’s survival than the nuclear programme. The Islamic regime in Iran has not and will not live on its nuclear programme. It lives on its economy. Khamenei is worried that if he doesn’t negotiate, the west will find it easier to justify isolating his country. This, in turn, will make it easier to gain international approval for tough economic sanctions. With so much legitimacy lost domestically after Mahmoud Ahmadinejad’s controversial election in 2009, Khamenei has even more reason to worry about the impact that sanctions could have on the survival of his regime. This is the main reason why he is negotiating and will continue to do so. This is also why he will be careful, as he was before Dagan’s statement, in the way he approaches his nuclear programme. One also has to ask: which is the bigger reason why the international community is becoming more united against Iran’s nuclear programme? Its distaste and concern for Khamanei’s desire to have access to a bomb (which is becoming more apparent from clause 35 of the most recent IAEA report), or threats by Israel to attack Iran’s nuclear installations? Afterrecent revelations, such as the secret enrichment site near Qom, the former is more true. Israel is no longer alone in its belief that Iran wants to build a bomb. Judging by the support for sanctions, the UN and especially its security council members are more on the side of Israel than Iran. This includes countries such as South Korea that have adopted unilateral sanctions against Iran. In its bid to stop Iran’s nuclear programme Israel should help itself and the international community. The most potent way would be by improving relations with the Islamic world, especially the PLO and Turkey. Israel had good relations with them before. It can do so again. Fortunately for Israel, and unfortunately for Khamenei, Israel even has the option to hurt the regime on its very own streets. That option is the cessation of verbal military threats against Iran. Cessation of military threats from Israel will make it much harder for the regime to divert the public’s attention away from its falling popularity and serious domestic problems. Silence from Israel will make Iran’s leaders more worried, as it will rob Khamenei from an important tool which has helped him, and at a crucial time when the regime is hemorrhaging legitimacy and popularity at an unprecedented rate. The damage such an endeavour will cause is worth the inconvenience of Israeli politicians having to bite their tongues. Cessation of verbal threats will also prevent significant future damage being caused to Israel’s deterrence posture if, at the end of the day, it decides to not to attack Iran’s nuclear installations. I have been talking to Seyed Ali Pourtabatabaei, a journalist from Qom who says he originally wrote the hypothetical piece in April on what would happen if Iran conducted its first nuclear test, which caused quite a stir after it was republished by Gerdab, a website run by Iran’s Islamic Revolutionary Guard Corps (IRGC). I wrote that blog out of anger that Iran does not have a nuclear weapon. I think sanctions will just continue until the end of days, and they make us so angry. We don’t need nuclear weapons otherwise, but if we are going to have these sanctions, we should do a nuclear test to bring them to an end. I asked how a nuclear test would end sanctions, and it emerged that what he meant was that if Iran was going to be under sanctions anyway, it might as well have a bomb and get some respect, and provide a counter-balance to the Israeli arsenal. He would view it as a regrettable necessity, as he believes nuclear weapons are ultimately futile. A top Iranian official has told the International Atomic Energy Agency Monday to focus on nuclear safety rather than “baseless and marginal issues.” The comment by Iranian nuclear chief Fereidoun Abbasi reflects unhappiness with the IAEA chief’s attempts to probe charges that Tehran wants nuclear arms. Iran’s ambassador to Bucharest was summoned by Romanian authorities on Monday to explain claims in a news interview that US plans to build a missile shield were directed at Russia. “Bajador Aminian Jazi was summoned to the Foreign Affairs Ministry and asked for clarifications,” a press release said. In an interview with HotNews website, the diplomat had said that Iran did not see the deployment of US missile interceptors in Romania as a threat. 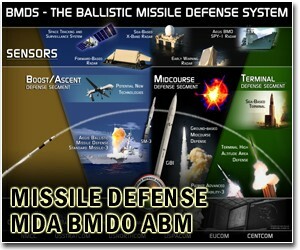 “We believe the anti-missile shield is not aimed against us. We don’t have a nuclear programme targeting any other country, our missiles are defensive only,” he said. Jazi said this project dated back to 1984, when it was drawn up “to annihilate the Soviet Union’s supremacy”. “Yes, (it is directed) against Russia,” he added. If you are an oil trader, the daily jiggles in the price of oil are of interest: if you guess right, it’s champagne and caviar; if you bet wrong, it’s beer and potato chips. But if you are a policy maker trying to make sense of oil markets so that you can plan your nation’s energy security, or an airline executive trying to compute just how large a premium you should pay for a more fuel efficient engine, you need some basis for a longer-run view. That is now less easy to come by than it was a few months ago. Earlier this month the political balance of power in OPEC, the 12-member cartel of oil producers, shifted. Whatever else consuming countries think of Saudi Arabia and its role as the principal funder of Wahabi ideology and associated terrorism, they rely on the Saudis to pump more oil when prices rise to levels that threaten the prosperity of industrialized nations. One international oil industry executive tells me that the perception that the Saudis are able to cap prices keeps them off the list of regimes marked for change. He adds that the Saudis wildly overstate their ability to step up output so that consumer countries, and especially the United States, will continue to support a regime as odious as others marked by the U.S. for regime change. The problem for consuming countries is that Saudi Arabia no longer calls the tune to which other OPEC members dance. At the regular OPEC meeting earlier in the month, Ali Nami, the Saudi oil minister, called for stepped-up output to roll back crude prices lest the sputtering U.S. and European economies be tipped into recession. This was partially in response to an International Energy Agency estimate that there will be “a clear need” for more oil to meet demands later in the year.